As a producer of one of the finest Kentucky Straight Bourbon products, Four Roses Distillery LLC promotes a standard of responsible drinking and the vision of alcohol-conscious employees and consumers. We desire to promote our culture of “Be Mellow. Be Responsible.” We also wish to educate our employees and our consumers about drinking responsibly while enjoying our products. For these reasons, Four Roses places a priority on balancing an enjoyment in being mellow with awareness and responsible behavior. Selecting and consuming Four Roses Bourbon is a personal choice and decision. We want your decision to be Four Roses. Our bourbon is a key ingredient in bringing people together during special occasions or just simple treasured moments. 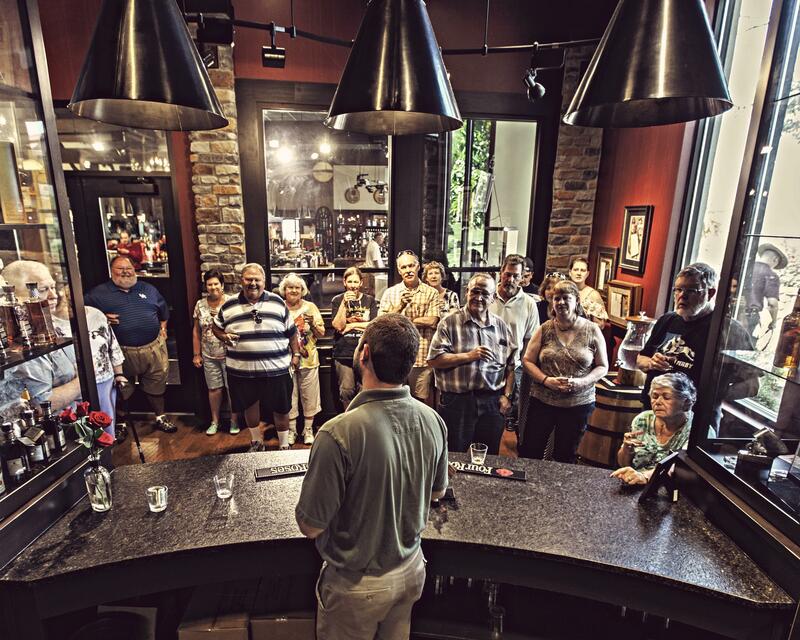 When choosing to drink Four Roses Bourbon, we want your experience to be positive and enjoyable. Maintaining positive experiences with Four Roses Bourbon requires an individual to act responsibly. Alcohol awareness and avoidance of irresponsible drinking behavior can minimize risks. Excess consumption can lead to addiction and other serious health consequences. Moderate, responsible consumption can produce consistent positive experiences that promote more enjoyable occasions. Drinking and driving can produce deadly consequences to yourself and others. Choices are available to avoid these situations. Preparing a designated driver, taxi ride or transportation service are convenient and some of the safest options an individual can choose. Four Roses believes no one should ever drink and drive and urges employees and consumers who enjoy our products to plan for safe transportation home using these three methods. Promotion of Four Roses brand is targeted to consumers of legal drinking age. We stand firmly against underage drinking by providing our employees and consumers education about the risks of underage drinking. STAR Training and certification is a requirement for all Four Roses employees who sell and serve alcohol in our visitor centers. This policy ensures that we minimize the risks of underage drinking. Four Roses recognizes and desires to influence employees, customers, consumers, stakeholders and the overall public toward a higher level of responsible drinking behavior. If you choose to drink, enjoy in moderation. Make it part of your occasion, not the focus. The key is to have a good time while staying in control.